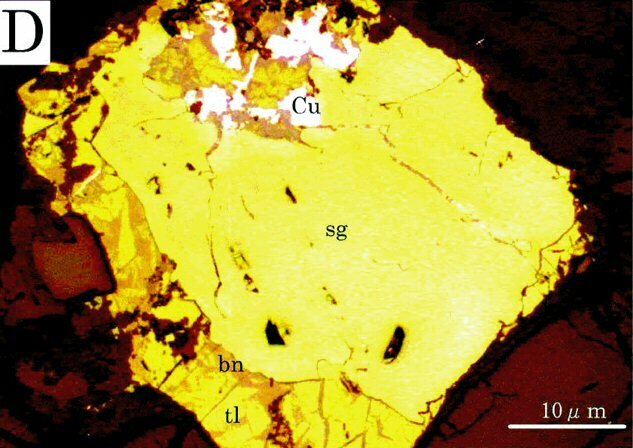 Comments: Reflected light polished section of sugakiite (sg) associated with bornite (bn), talnakhite (td) and native copper (Cu). (CanMin, v43:266). Location: Horoman, Samani-cho, Urakawa-gun, Japan.